Skype has updated their VoIP app for Android devices, and the latest version brings a new range of features to Android smartphones, including two way video calling for certain devices. The Google Nexus S, HTC Desire S, Sony Ericsson Xperia Neo and the Sony Ericsson Xperia Pro all got support for two way video calling, Skype has also added in support for SMS. 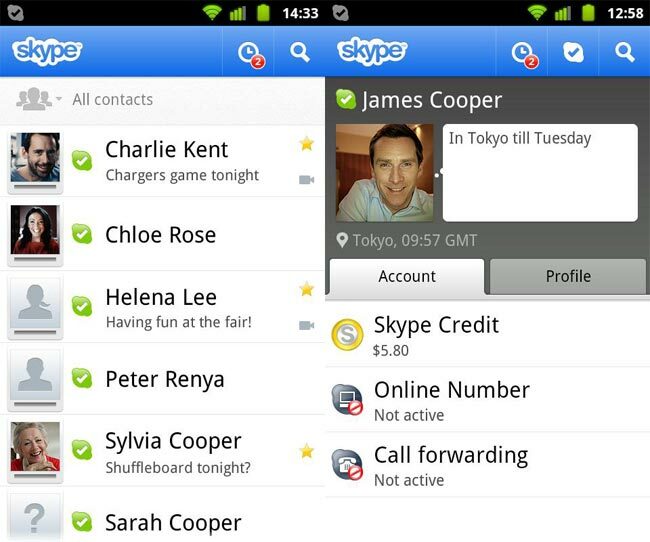 Skype has also given the user interface a new design for Android devices. We wonder why Skype has only offered support for the two way video calling on four Android devices, there are many more devices capable of using the feature and wonder how long it will take Skype to make the application compatible with those devices.